Goodness gracious. 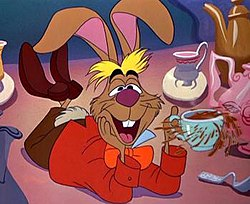 The March Hare is loose, along with Bugs and the Easter Bunny, and a whole lot of people inside and out of markets look like Elmer in undignified pursuit of this herd of wascawy wabbits. Long-term rates, bonds and mortgages have been falling, are falling, and maybe will fall. To understand what has, is, and will take place in this large-scale event, keep a firm grip on past, present, and future. On December 19 (seems a lot longer than three months ago) the Fed hiked the overnight cost of money to 2.50% and indicated intent to hike twice more in 2019. 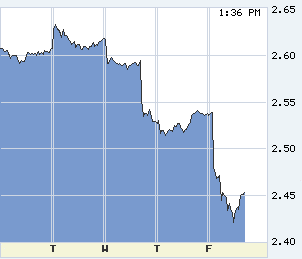 The 10-year T-note had already crested at 3.24% in November — today 2.44%. 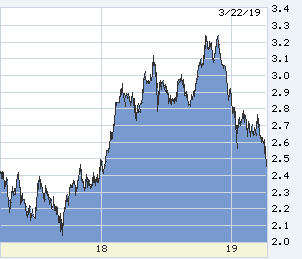 The Fed-predictive 2-year T-note had also crested, 2.98% — today 2.32%. I’m a Fed fan, so I’ll be polite. The December 19 adventure was the Fed’s worst single mistake in forty years (previously its excessive ease versus 1970s inflation). Everybody gets a lot of what’s happened since: the Fed scurrying to retract future tightening, and the slowing of the economy — partly caused by the shutdown, partly Fed-driven mortgage rates above 5.00%, and certainly the stock market dive in December. The Fed’s scramble to undo future tightening — shifting to patience and pause — by March 1st had taken the 10-year T-note down a half-percent to 2.75%. But in the three weeks since, down nearly another half-percent…? What’s that about? Recession? Not in the US data. However, overseas economies are sinking. The newest data from Europe is a recession. Maybe Japan as well. No telling inside China’s black-lacquer box, but ugly. Tidbits: FedEx has cut its forecast two quarters in a row, gross revenue falling especially overseas. Tech people say their global forecasts are well below 2019 and blame tariffs. Questioning the validity of models inside the Fed? 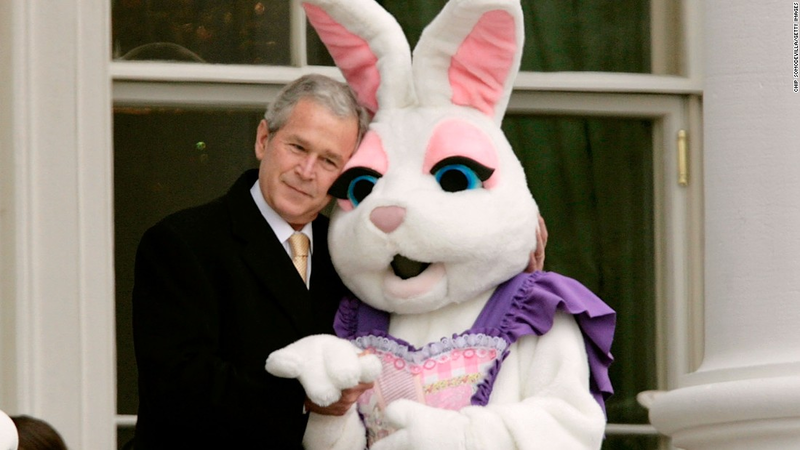 How dare he tell the children that there is no Easter Bunny? Since December Chair Powell has done an excellent job in public, projecting traditional fog. We do not know what data the Fed has seen since December which has scared them pants-less. 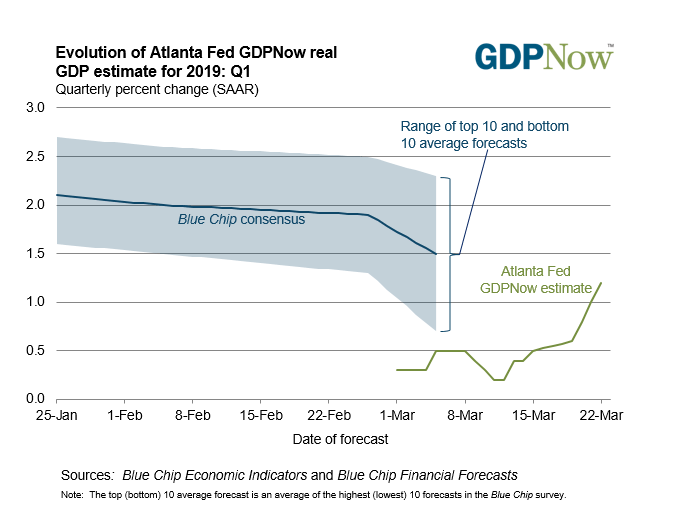 Perhaps it’s the complete absence of accelerating inflation mentioned by Chair Powell this week, combined with the downshift in the economy to the 2% GDP growth it has seen as the US speed limit. Maybe it’s the dangerous overseas data, revisiting 1997-1998. Whatever. Going into this week’s Fed meeting, markets had begun an ever-so-slight tilt expecting the Fed’s next move would be to ease. I thought the Fed would lean against that tilt, hint to markets that pause meant pause, and markets should not get ahead of themselves. Wrong. 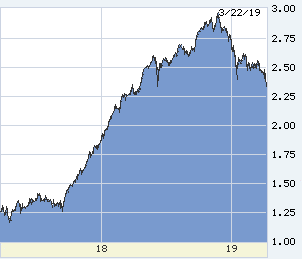 The Fed pushed tilting markets into a heap rolling downhill. All of that is now past. What’s the rate future? What do we do now with rates, and refis, and locks, and expectations? Take it on in two ways, one common-sense, the other… market gobbledygook. Then the goop. And the rabbit herd. When the bond market begins a surprise rally, an unanticipated wave of buying, the surge forces more buying. Some of the reinforcement is short-covering, those who bet that rates would rise forced to buy. But mortgages are the main culprit, roughly $7.5 trillion not held by the Fed, plus attendant servicing contracts. These loans are held all over the world by long-term investors — life insurance companies and pension funds which must maintain long-duration investments to correspond to long-term liabilities. Then there’s the wagering world, holding long-term IOUs carefully hedged at estimated maturity and yield. When rates plunge by actuarial surprise (those pesky models again, a “fat tail” surprise), and refis begin, duration shortens and exposes the life/pension crew, and busts the hedges of everyone else. 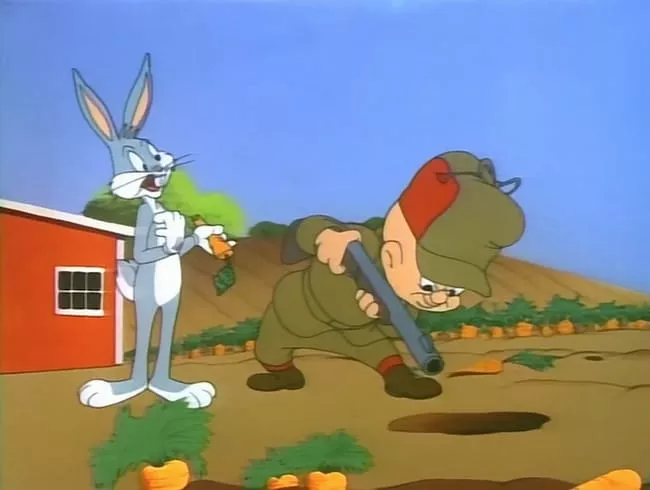 To repair themselves these investors must buy bonds, which pushes rates down more, which forces more buying, and Fudds blazing away at bunnies running around in circles. Just when it looks as though this self-reinforcing mob will auger rates right into the ground, mortgages intercede. No matter economy, Fed, overseas, or rate forecasts, the mortgage industry can absorb only a limited flow of loans. No matter how many we would like to make, no matter how attractive yields may be to investors, when overwhelmed by demand the mortgage industry raises rates to calibrate demand. The marker: one day the 10-year T-note continues down in yield, but mortgage rates rise, and then the rise steepens as rabbits rush for the closing gate. In a big drop and reversal, the rabbits begin to chase Fudds and the whole machine runs back up in high volatility until equilibrium. Nobody knows when that reversal may take place, but the rate move since December has been epic. Take the rabbit in hand. 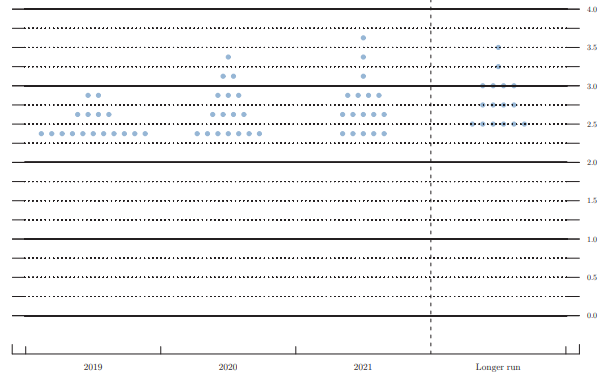 The Fed’s newest damned little dots released on Wednesday are already obsolete. The two top dots advocating two hikes this year — likely KC’s George and Cleveland’s Mester — the last ride of the modelers. The four advocating one hike, not any wiser. If the Fed governors and regional presidents were to re-dot today, at least one might forecast a cut.